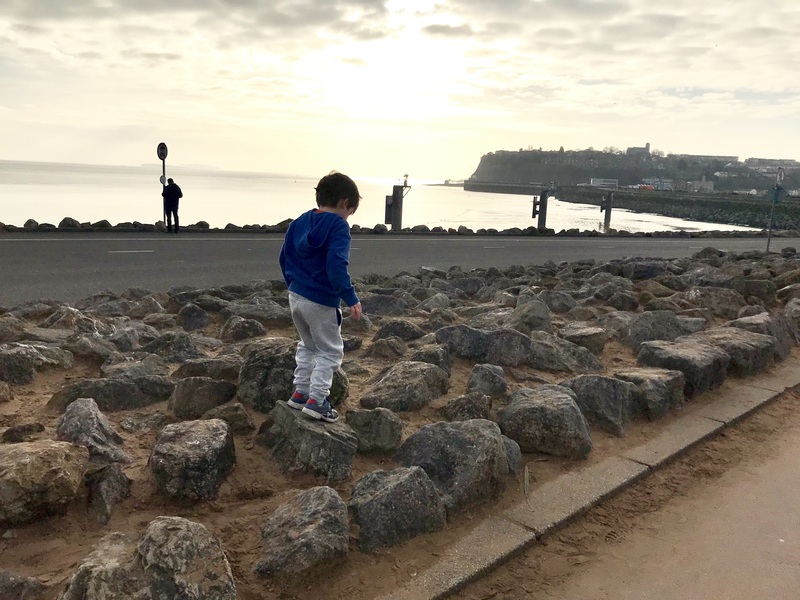 We set ourselves the challenge this year of visiting 52 free family-friendly places in South Wales during 2019. 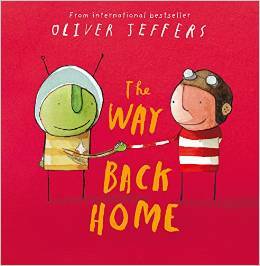 Some of the places will be ones that are new to us but others will be some of our favourites. 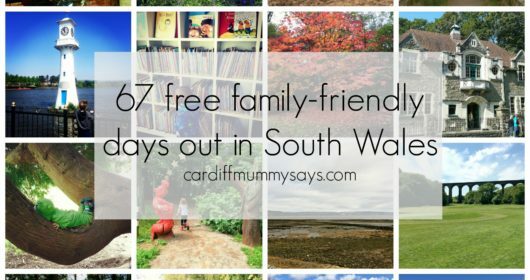 We’ll be documenting them all here on Cardiff Mummy Says and over on Instagram using the hashtag #52SouthWalesFamilyTrips2019 – please feel free to join in as we love to see other people’s adventures and are always looking for ideas of new places to visit. 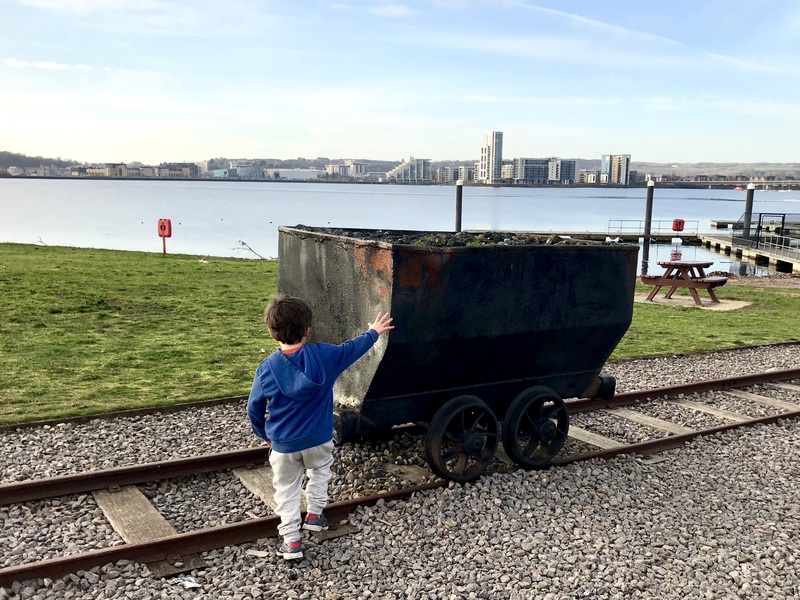 Right at the top of my children’s list was Cardiff Bay Barrage where we have been many times before and which we visited again at the start of the month, in desperate need of some fresh air and freedom. The barrage was opened in 2001 as part of the regeneration of the old docklands and rejuvenation of Cardiff Bay. The 1.1km walkway links the Bay with Penarth, with stunning views over Cardiff Bay on one side and the Severn Channel on the other. 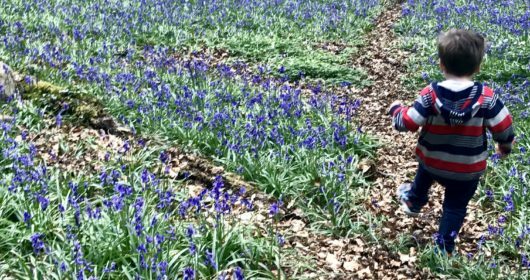 It’s a real favourite place of ours and is easy to explore on foot, or by bike, scooter, or skates, and is buggy-friendly and dog-friendly, plus there are toilet facilities too. You can rent bikes and pedal carts from the hire place near the start of the barrage, which are a great way for families to get about. When I’ve written about the barrage previously the two questions people ask most often are: where do you park; and how do you find it. We always visit from the Cardiff side so my advice relates to this, but there’s also a pay and display car park on the Penarth side too. With regards to parking, the pay and display area around the Norwegian Church is about as close as you can get but it’s limited to three hours and is often really busy. 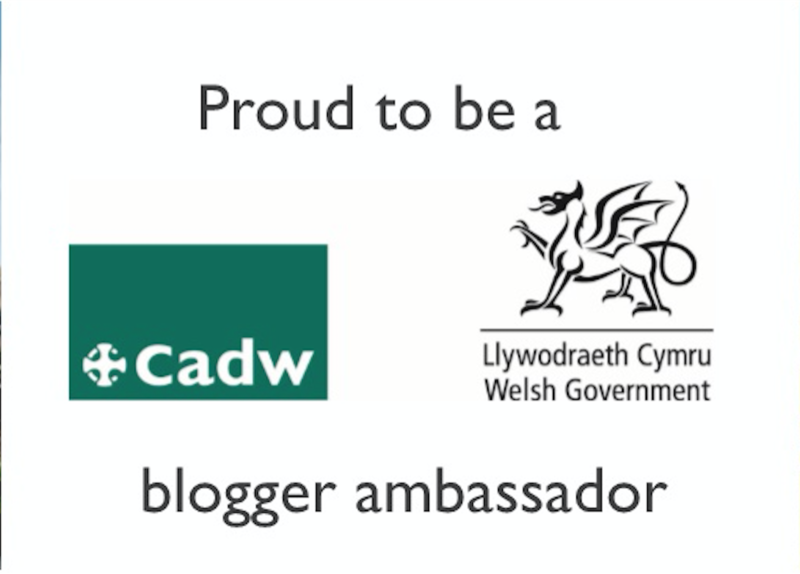 Other options include the Q-Park multi-story behind Wales Millennium Centre; the car park next to St David’s Hotel; and the Mermaid Quay car park. 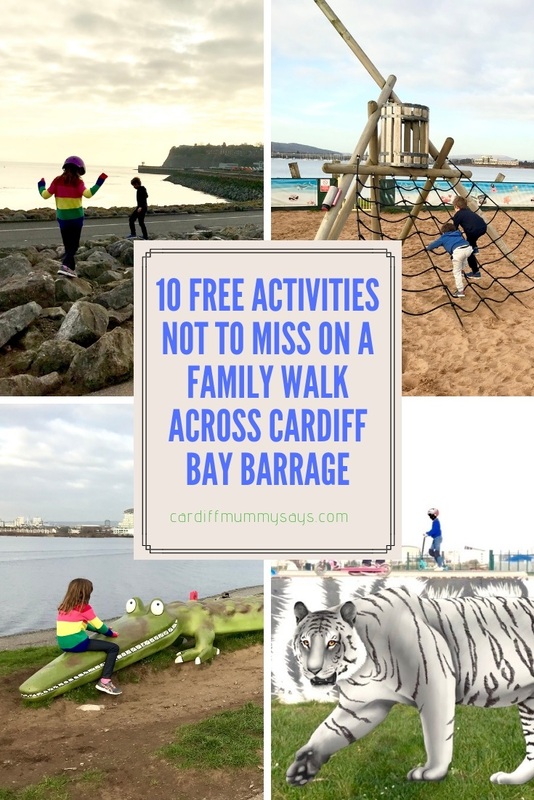 These involve a longer walk but give you the option of exploring Mermaid Quay or perhaps combining with a trip to Techniquest or Wales Millennium Centre. 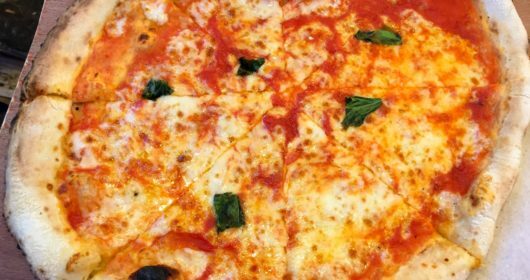 If you’re coinciding your trip with food or a cinema trip at The Red Dragon Centre, then you can park onsite for free for up to six hours subject to minimum spend and ticket validation. To get to the barrage, head in the direction of the Norwegian Church. Then, cross over the red bridge, past The World Of Boats and what used to be The Doctor Who Exhibition on your right and a little coffee shop in an old shipping container on your right, and then follow the path. I remember the first time I took this path to the barrage thinking “Is this it?” as to start with, it’s nothing more than a surfaced road surrounded by overgrowth. But stick with it, head round the corner, continue past the toilet block, and you’ll soon see the barrage itself. Just a little warning – if it’s cold or windy then you’ll really feel it as the barrage is very exposed, so do wrap up warm. Once you’re there, here are 10 free things we recommend that won’t cost you a penny. Have I missed anything? 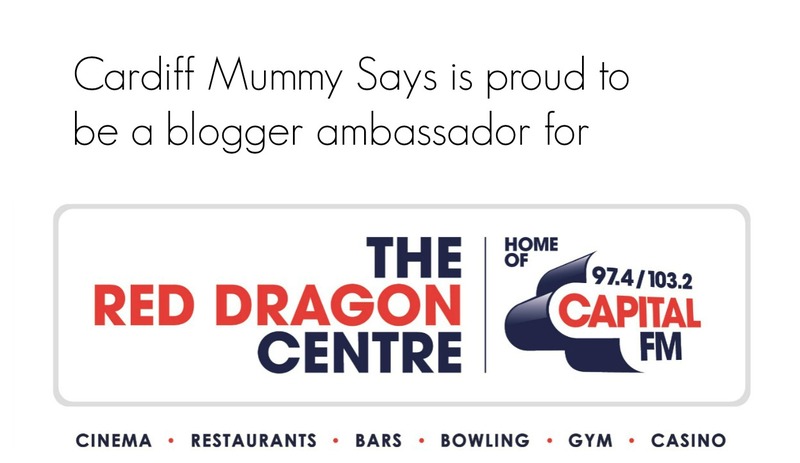 Do let me know in the comments below, tweet me on @cardiffmummy or come visit the Cardiff Mummy Says Facebook page. Cardiff Bay Barrage is one of our favourite places for scooters and bikes. 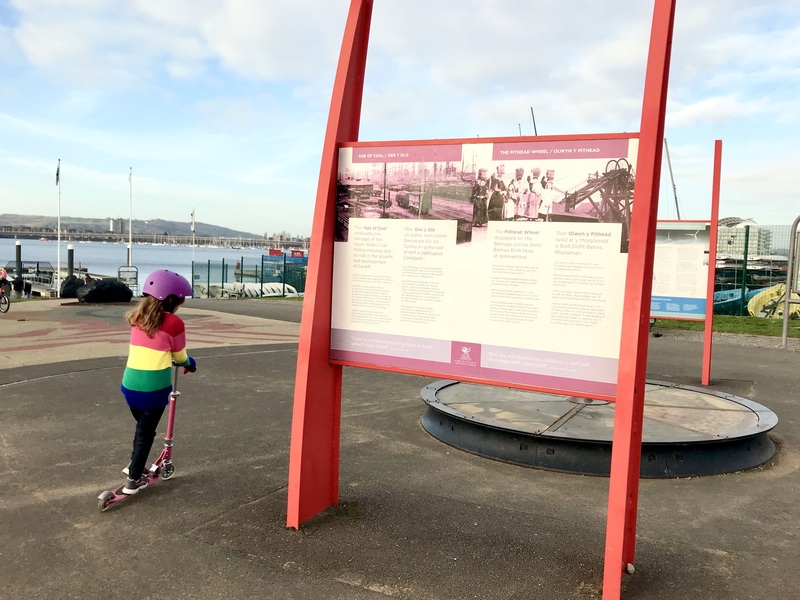 The walkway between Cardiff and Penarth is long and flat with a dedicated cycle lane so it’s perfect for families. One of the first things you’ll come across from the Cardiff side is the skate plaza. 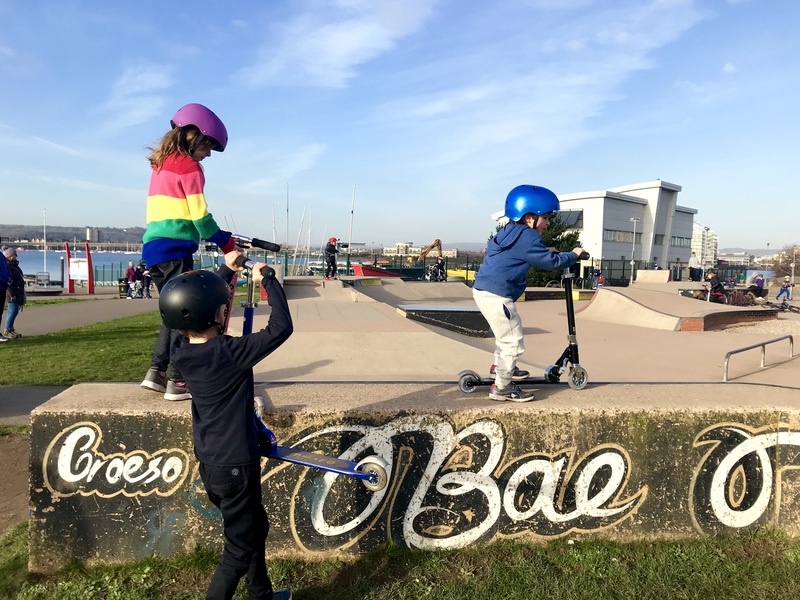 It’s one of the best outdoor skate parks in Cardiff with various ramps, jumps and obstacles in a 1,100 square metre concrete area. 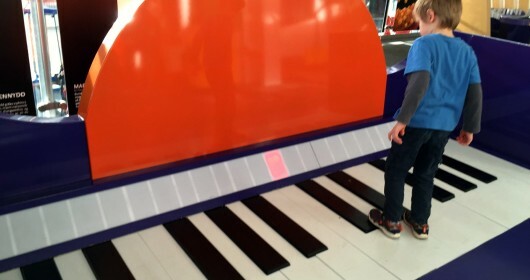 Lots of them are accessible even for toddlers on their scooters, while there’s enough to challenge the older children too. 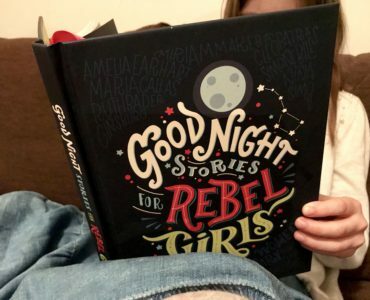 If you have younger children then we really recommend getting there early before it gets busy as when it’s full of teenagers it can feel rather unsafe for smaller children. 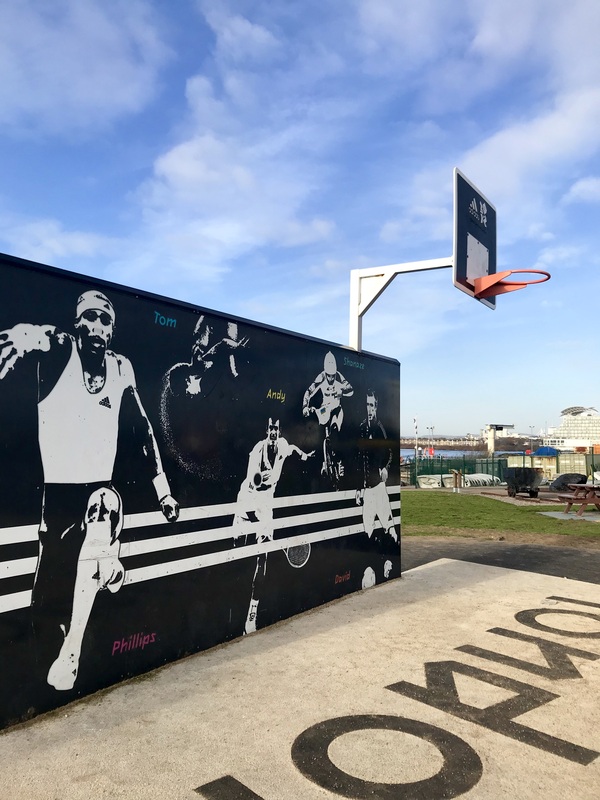 Designed in the shape of the London 2012 Olympic logo, the barrage’s outdoor fitness area includes an 18-station outdoor gym, basketball area, football goal, tennis wall and climbing wall. 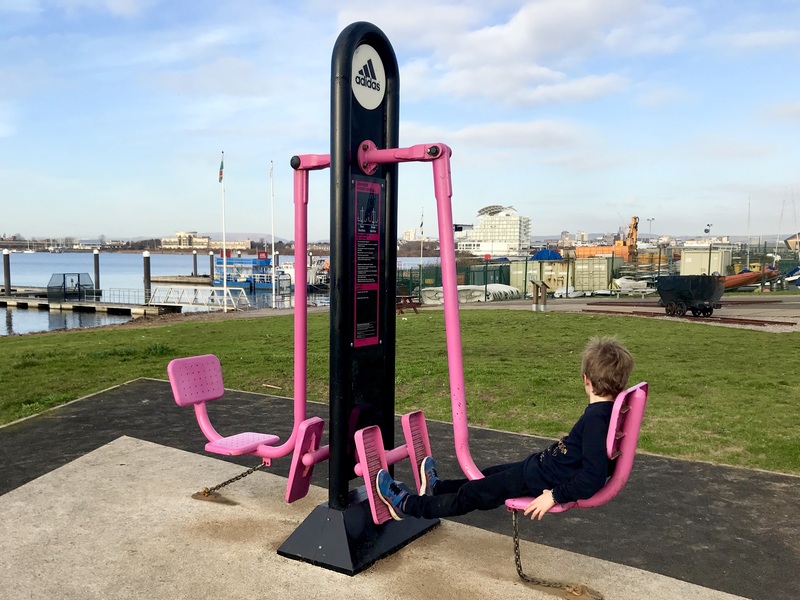 I don’t think I’ve ever seen any grown-ups using the outdoor gym equipment, but children seem to love the multi-coloured exercise facility. There’s a mini treadmill, weights machines and more that all make fitness more accessible and fun. 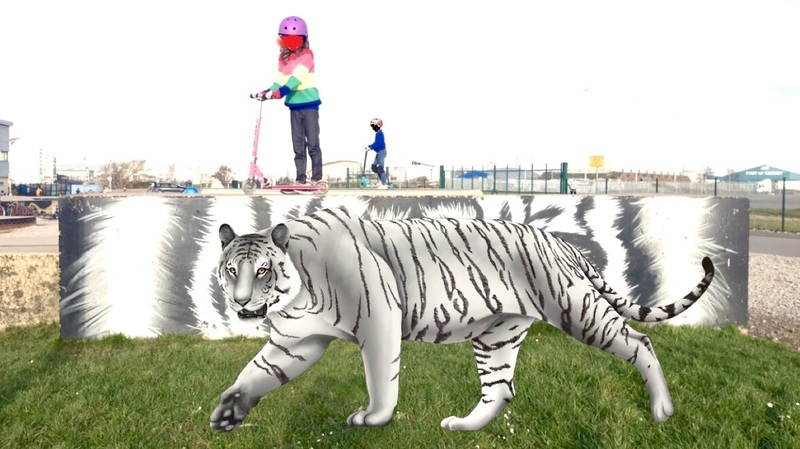 Did you know there’s a tiger on the barrage? Not a real one obviously but a very fitting animal given the area’s former name of Tiger Bay. Download the free Tiger Bay Trail app and a handy interactive map will guide you to five areas where virtual animals will appear and let you take a photo with them as well as telling you more about the area’s history. We’ve written about Tiger Bay Trails previously in this post. In the area between the outdoor gym and skatepark you’ll find The Age Of Coal. This is an outdoor exhibition dedicated to the heritage of the South Wales coal mining industry and how it lead to Cardiff’s expansion. As well as information boards, you’ll see plenty of physical tributes to the coal industry too – including a mining cart full of coal and the pithead wheel from Bettws Drift Mine in Ammanford. 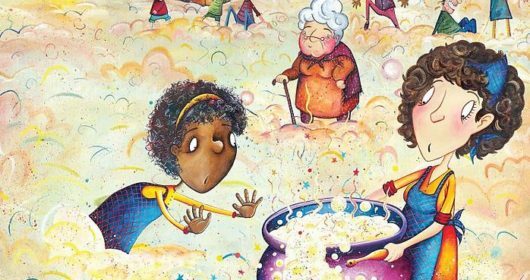 It’s a great starting point to help children understand the city’s heritage. 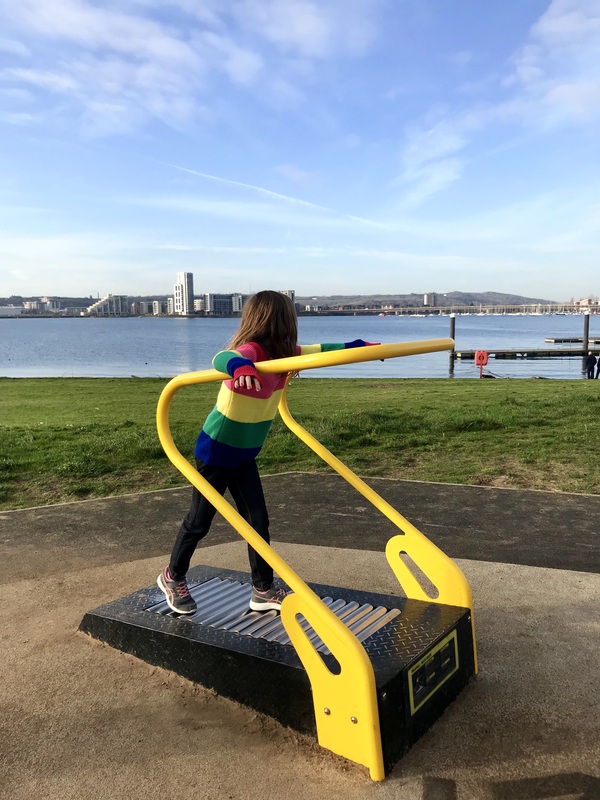 This is one of our favourite playgrounds in Cardiff (you can read our full list of fantastic places to play in South Wales here). 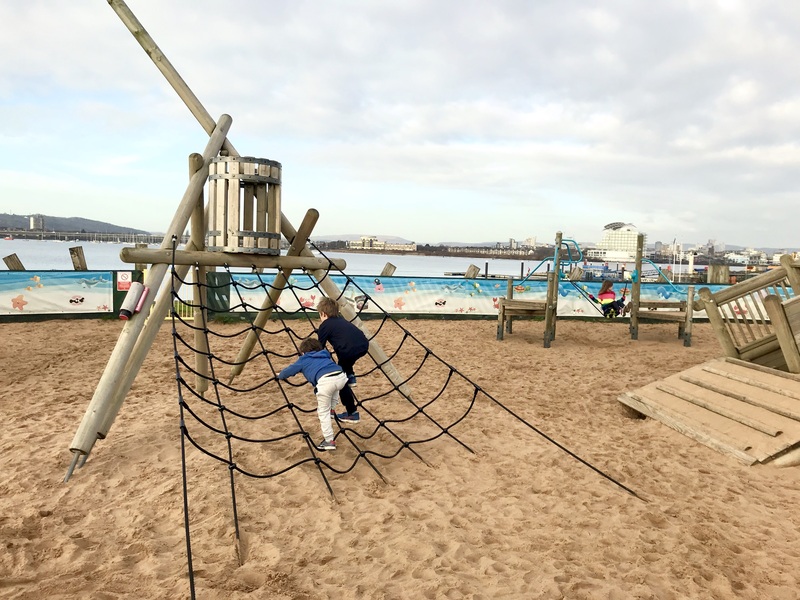 Here, you’ll find wooden pirate ships to climb, cargo nets to scale, swings, roundabouts and more for children of all ages, plus lots of sand to play in all with the most beautiful views across the waters of the Bay. 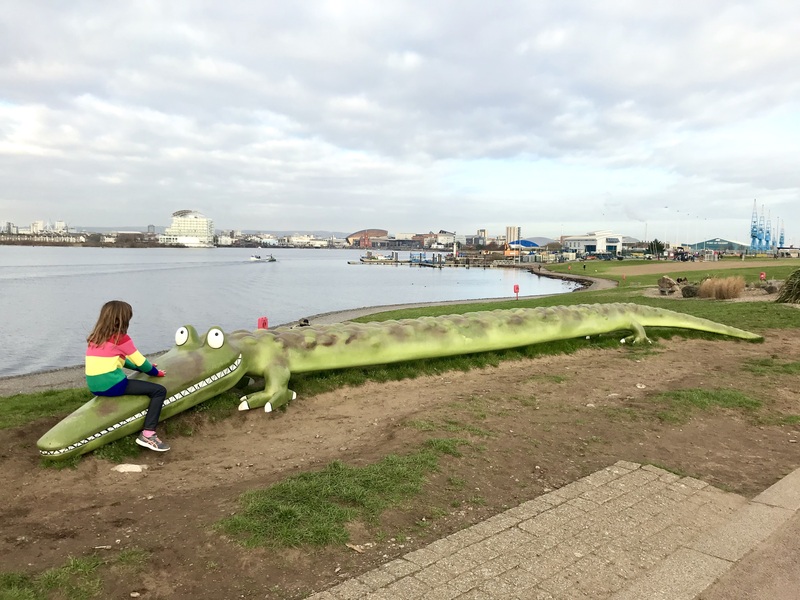 The much-loved children’s author Roald Dahl was born in Cardiff and so it’s fitting that the barrage is home to a fun tribute to one of his most famous creations – the Enormous Crocodile. The 10-ft reptile first appeared in the summer of 2016 as part of the celebrations marking 100 years since Dahl was born. 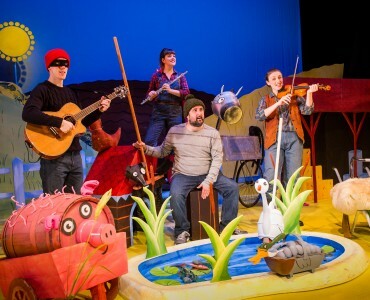 The crocodile even has his own hashtag – #crocinthedock and his own Twitter account @crocinthedock Here you can also sit on a bench featuring the cover of his book and illustrations and text from the classic story. From the Barrage You can also see the Norwegian Church where Dahl worshipped as a child. 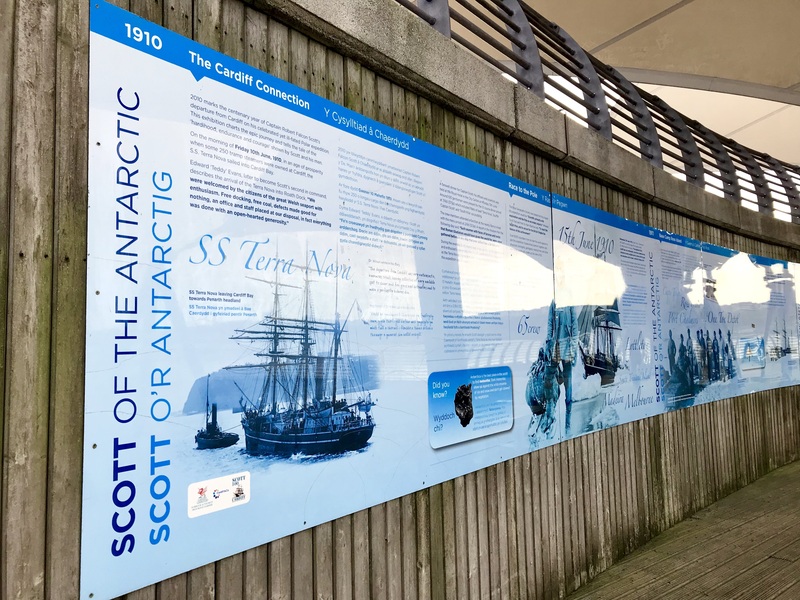 That white boat-like structure with its white sails beyond the playground is home to an informative tribute to Captain Robert Falcon Scott. In 1910 the famous explorer and his crew left Cardiff on the SS Terra Nova for the Antarctic in an attempt to become the first to reach the South Pole. 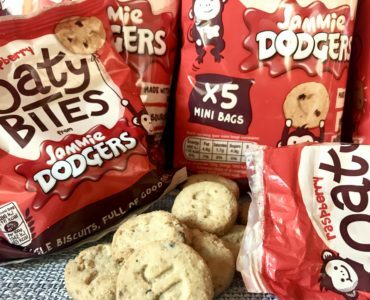 Sadly they were never to return. The explorers reached the pole only to discover they had been beaten by a Norwegian party, and died due to the treacherous conditions on the return journey. The exhibition talks about the welcome the crew received from the people of Cardiff – including a lavish farewell dinner at the city’s Royal Hotel the night before they left – as well as more about the voyage. 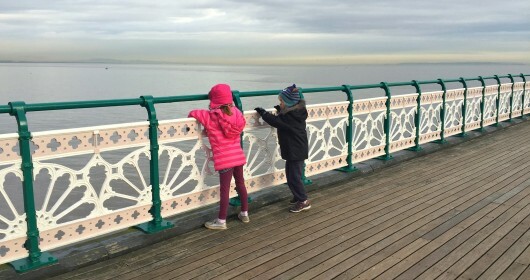 Looking out for boats in the Bay waters can keep my youngest entertained for hours – the thrill of seeing a speed boat pushing through the waves or a sail boat coasting along in the wind is quite something when you are four. 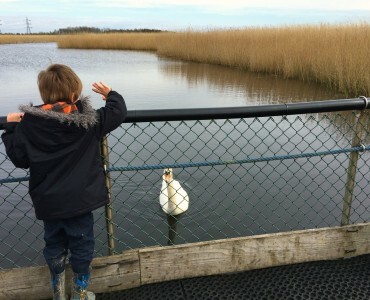 We were keen for this to be a free day out but you can also book organised boat trips or even hire boats to explore the area – many of them leave from Mermaid Quay. 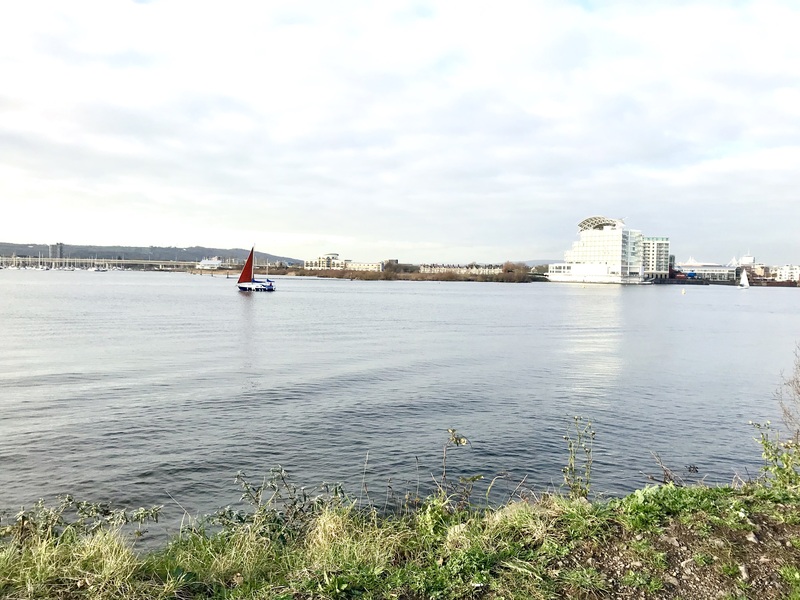 There’s a full list of the different boat services offered in Cardiff Bay here. 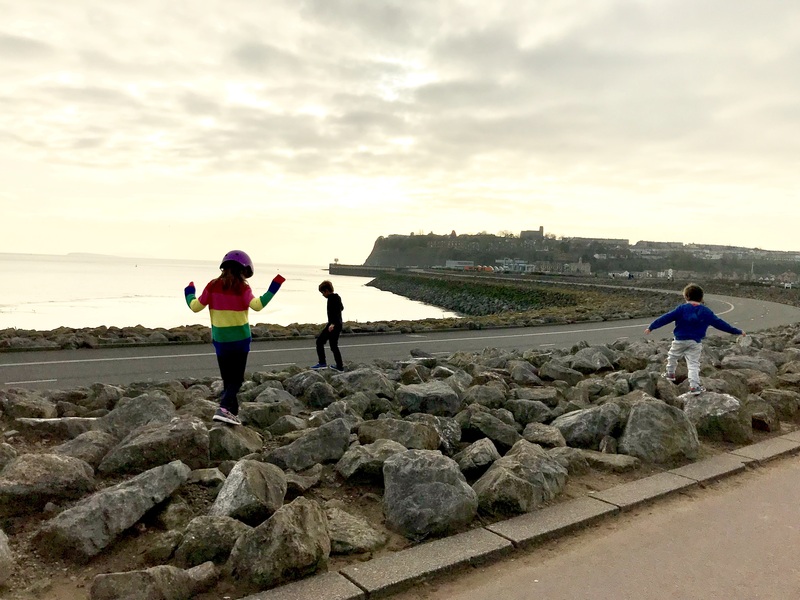 I’m not sure if the people who designed the barrage knew how popular the rocky area looking out to the channel would be with children but my three absolutely love climbing over and jumping between the rocks here. Great for balancing and coordination with lovely views too. Have I missed anything? 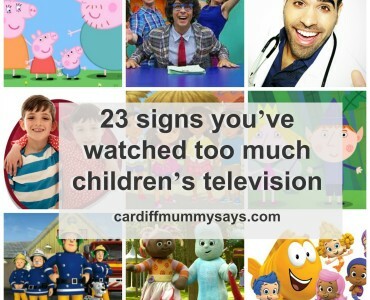 Do let me know in the comments below, tweet me on @cardiffmummy or visit the Cardiff Mummy Says Facebook page.